60s Hairstyle Trends: Bouffant, Beehive, Flip. 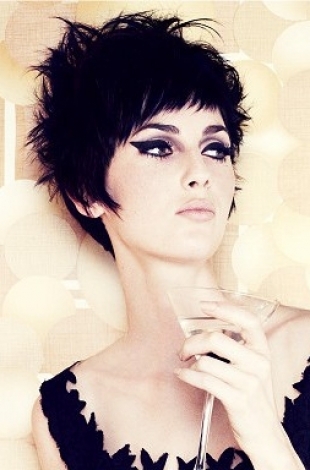 60s hairstyle trends still influence modern looks for women interested in retro style. 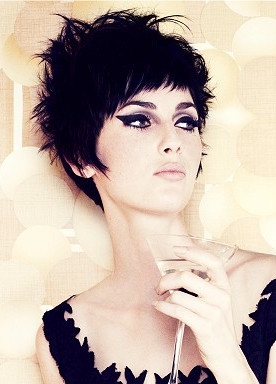 Check out the most important 60s big hairstyles, from bouffant to pixie. A decade of social change, especially concerning women, the 60s illustrated the evolving mentalities with new bold hairstyles. See the most important 60s hairstyle trends and find out how you can still sport a similar look, including the famous bouffant hair. The popularity of Mad Men has brought back renewed interest in everything '60s, from interior design to hairstyle trends. See the most important hair trends that influenced the 60s and are still around with a modern twist. Bouffants are probably the biggest hair legacy of the 60s, adding height through volume. Teasing the hair created new looks for stars like Brigitte Bardot, Jackie Kennedy and Raquel Welch. The pulled-back bouffant is probably the most resilient hairstyle from the 60s. To get this iconic look, you need to backcomb the front and back sections of the hair across the crown, followed by pulling back the bangs and securing them with bobby pins. Gaining the extra volume is simple if you apply a styling lotion while your hair is still wet after washing. You can use rollers to create the perfect locks or keep it wavy for the texture that created volume. A strong-hold hairspray is needed for most bouffant looks, one of the popular 60s hairstyle trends. Brought back by Amy Winehouse, the beehive has plenty of variations, but it's another hairstyle defined by volume and height. Using a teasing comb, you can create your preferred style of beehive, whether you decide to opt for a cleaner look, with the back sections of your hair secured to the back of the neck, a style sported by Jennifer Lopez, or leave your locks hanging after creating the extra volume on top. Another of the 60s hairstyle trends that stuck around is the flip, a long bob hairstyle with the ends flipped outwards. You don't need a high-maintenance haircut to get this look, especially if you plan on giving volume on top with a teasing comb, before using rollers one the lower sections of your hair, creating the iconic bell shape. Popularized by Twiggy in the 60s, the pixie cut doesn't have the volume or height of 60s bouffant hair, but it retains the same femininity. Sported by celebrities like Michelle Williams, Anne Hathaway, Carrie Mulligan and Rihanna, the pixie haircut is the easiest way to jump on board with 60s hairstyle trends without choosing a high-maintenance look.